Junior researchers frequently wonder how many references should be included in their research papers. The common response? “As many as you need.” What exactly does that mean? 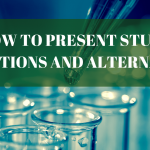 While we admit there are very few hard-set rules regarding this issue, in this article, we will try to provide more concrete guidelines that will help you assess whether you have enough references in your paper. Before we do so, let us briefly explain why references matter and whether the number of references you include can project certain perceptions about the quality of your work. There is such a thing as having too many or too few. References show that you have carefully reviewed the relevant literature and are now contributing something novel to the academic community. You establish authority and credibility when you can critically assess other literature and distinguish your findings from previous works (if any exist). We emphasize “critically assess” in the last sentence because references are only as good as you apply them to your research. Therefore, the famous adage “quality over quantity” is the key to deciding how many references are sufficient. We would be remiss if we didn’t tell you that being at either extreme (having too few or too many references) can reflect poorly on your intellectual aptitude and your study’s validity. Here’s why. If you don’t have enough references, particularly on a topic familiar to a wide audience, readers may think that you haven’t done enough research into existing literature. Surely someone else has thought about related topics or used similar techniques. If you’re sloppy in conducting your diligence, readers will wonder whether your paper is worth reading. What’s novel and valuable about your paper? Were you just as sloppy with conducting your study? The answers to these questions need to be evident. Additionally, readers might be concerned that you may have plagiarized by failing to properly cite information. Unless you’re John Nash, who cited only two texts in his seminal 26-page PhD thesis (one of which was to his prior work), ensure that you’ve properly researched the relevant papers and included appropriate citations! If you have too many references, readers may wonder if you did any original research at all. Unless you’re writing a literature review, your paper’s primary focus should be on your investigation and findings. Don’t bury your hard work under strings of citations and discussion regarding other works. 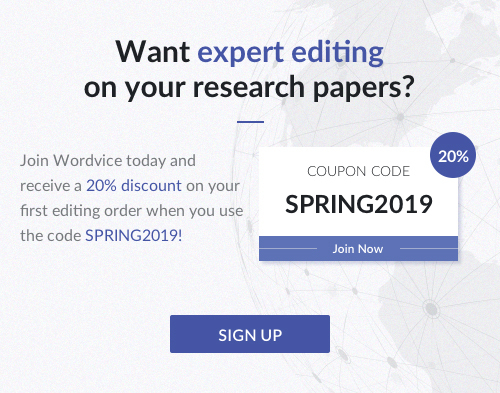 Show your readers what you’ve discovered and how the new information you present fits into or departs from the academic community’s current understanding of your topic. Additionally, let us highlight the difference between the number of references versus citations. References are the source materials; therefore, each reference should be listed only once in your references section. Citations are meant to identify the source of the information you use in your paper. You can cite a reference multiple times. Therefore, the number of citations you have is typically larger than the number of references. The opposite situation should never happen! The number of references required for a paper will depend largely on your work’s purpose. For example, literature and systematic reviews are surveys of existing studies. Therefore, their reference lists will be more exhaustive than those of research papers whose primary focus is the current authors’ findings. Indeed, if you examine many journals’ author guidelines, you’ll note that journals have a higher maximum reference limit for review articles than original research papers. 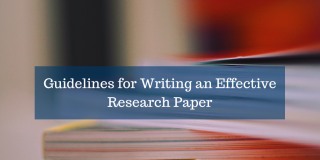 The length of your reference list will also depend on your research paper’s subject matter. For example, if you are writing about a less studied field, such as a subfield of neuroparasitology, you may discover that there aren’t many papers to cite. Similarly, newer fields will have fewer published papers that can be referenced. If you find yourself in this situation, review the references used by relevant current literature and see if you can expand your research, and thus your reference list, with valuable content from there. Another factor will be your institution or journal’s requirements. If you are preparing a dissertation or thesis, double-check your department’s requirements. While rare, they may have specific limits. More commonly, journals restrict the number of references due to printing constraints. It may happen that you don’t have access to certain literature that could have served as a reference. In such a situation, you may wish to look for an institution that may be able to provide you access to that literature for the purposes of reviewing the content. Given that more papers are being published than ever before in most fields, it is likely that reference lists will grow longer simply because there are more data points and discussions available to cite. Keep track of changes to the size of reference lists in publications related to your field. Finally, a paper’s length bears some correlation to the number of references. Below, we provide tips on how to decide if you have enough resources. We also provide some general reminders on how to effectively use references. After all, references are meant to enhance your paper while still maintaining your research as the focal point. One way to gauge how many references you should have is to survey academic journals for your article type in your field. Review their author guidelines for limits on the number of references for your article type, and make sure your reference list complies with those journal restrictions. 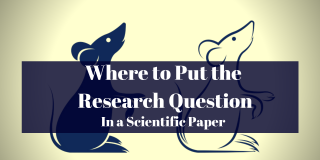 Read recent articles relevant to your topic; check how many references other authors have included in their papers for the same article type as yours, and how frequently those works were cited per page. Keep in mind that the above methods will give you an estimate of how many references you should include but will not tell you how many citations you’ll need per page. The latter is impossible to state simply because certain sections may have no citations at all (the results section, for example). To give you a general idea, the following are some estimates from a couple of studies that examined the citation characteristics of articles published in various disciplines. Economics: highest, ~ 32; average reference per page, >1 but <2. The above findings were based on data compiled from the first 20 years of the author’s research. Since then some fields have increased the number of references. 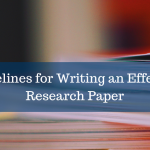 Thus, make sure to examine your target journal’s most recent and relevant publications for a better idea of how many references to include based on the specific type of article you plan to write. In another study by Falagas et al. (2013), medical journals averaged 29 references for articles that were 7.88 pages long (as printed in journals). Finally, although the sample size was small (63 journals), Gali Halevi observed the following citation trends of a broader range of disciplines. The average number of references per article was the highest for the social sciences, physics, and astronomy, and arts & humanities (roughly 54 references per article). On the other hand, health professions and earth and planetary sciences had the fewest references per article at an average of 8 and 17 references, respectively. Math and engineering averaged at roughly 29 references per article. Biochemistry, genetics and molecular and other biological sciences averaged at 51. Hard and natural sciences more frequently cited recent literature while social sciences and math were likely to include older sources. Note that the Halevi study is limited in size, fails to factor in article type and does little to account for variances across different fields and journals. For example, it is possible that more review articles could have been reviewed for certain fields than others. With that said, we provide the above information to provide a rough estimate. At the end of the day, please keep in mind the requirements of your institution or target journal and the general trends for your specific article type (by examining the most recent relevant publications). For additional information regarding journal restrictions on the number of references, click here. Don’t repeat references within a reference list. Don’t repeatedly cite yourself. Make sure to balance your discussion with external literature citations. Be careful about citing old references. The rule of thumb is to go back at most five to six years. Exceptions to this rule should be reserved for “seminal” works relevant to explaining what prompted your research. Roughly 85% of all cited works should be less than five years old. Be careful not to cite several references in one place without discussing the relevance of each work to your research. In other words, don’t say, “We referred to previous studies in this field (1-7)” unless you later explain how each of reference #s 1-7 apply to your discussion. Confirm the quality of the work you cite. Are there any ethical issues regarding the paper that would disqualify it as a good source? Do your references come from reputable sources such as respected journals rather than random blogs and website links? Remember that your analysis is only as good as the verifiable information you use to conduct your research. One of the main purposes of citing existing literature is to show the “knowledge gap” regarding your topic. Therefore, make sure the works you reference naturally lead readers to wonder about the research question you address in your paper. To explain further, think about your favorite fictional story. A successfully written story only reveals the background information needed for the reader to follow along in the story. You’ll rarely see an author waste time writing about how the main character stubbed his toe one day while going to work unless that event relates to an important aspect of the story. Similarly, the references you cite should support the story building you create in your research paper. 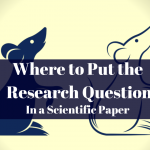 Don’t completely ignore the paper that could disprove your hypothesis. You want to show objectivity and that you took a balanced and unbiased approach to conducting your research. Mention the potentially conflicting evidence and explain why you believe it is flawed or inapplicable to your research. 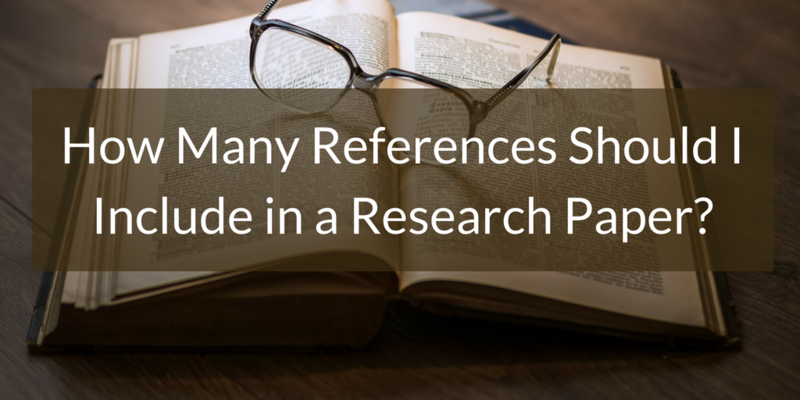 In qualitative research papers, you may have fewer references. Anything you cite in your paper should be listed in the references section. Anything listed as a reference should have been quoted or paraphrased in the text. If either rule is violated, something is wrong. Finally, remember that a paper will typically have more citations in the Introduction and Discussion sections than in other parts. Stefanie Haustein. Chapter 2 of Multidimensional Journal Evaluation: Analyzing Scientific Periodicals Beyond the Impact Factor. (De Gruyter Saur, 2012). 2 Comments on "How Many References Should I Include in a Research Paper?" Wordvice is the best platform for the discussion with each other regarding researching papers because now a day’s i’m in researching on abstract designing & guess what i found here’s: https://logoverge.com/logo-design-tool/abstract/ it’s an perfect channel that i’ve found on google because they’re providing best designing material which’s benefit for me & i hope it’s benefit for you guys.